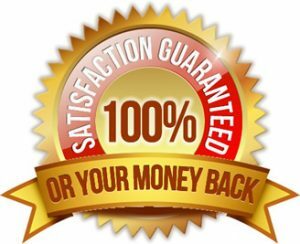 ✓ We will refund 100% of the funds if you are not satisfied with our service. ✓ We will refund 100% of the funds if we make errors on your visa application OR we will arrange for you a new one without extra charges. ✓ We will refund 100% of the funds if your visa application is declined by Vietnam Immigration. Many embassies of Vietnam say that The Embassy of Vietnam is the sole authority responsible for issuing Vietnamese visas and they do not recommend visa-on-arrival and online visa. They have also listed our website and mentioned that we are fake or scam. It is unfair and not true. We got established from 2007 with services of arranging visa pre-approval letter for picking up visa on arrival at international airport of Vietnam. The visa pre-approval letter and visa issuing office at airports come from the Vietnam Immigration (government) for making travelers get visa to Vietnam with less hassle, especially for travelers who come from countries without embassies or consulates of Vietnam. Please try our service to find out the truth. We guarantee 100% refund if you will not be satisfied with our services or have any doubt about our visa on arrival services. Please note that we run No-refund policy on Business Visa Application and RUSH or Urgent Visa Application (for both tourist and business visa application) submitted on our website. It is therefore important to note, if you wish to cancel your visa application with www.visas.com.vn, you will need to contact us immediately to prevent any unnecessary cost being incurred. Once an approval letter has been sent to your email address, we are unable to reimburse you the visa fee.